Customized • Fun • High-Class Entertainment • Anywhere! From childhood I imagined the kind of life I wanted to live, inspiring and helping people on an international scale. Initially, instead of aiming to impact lives through performance, I chose to wrestle toward medicine, specifically Doctors Without Borders. Eventually, I ran away from everything … myself, my choices, and my potential… for a while. Now I’m a Troubadour. At age 40, during a recent bout with Self-Doubt regarding Direction and Purpose, a special person passed me a copy of my high school Valedictorian speech. It seems Life turned out to be a glorious, unpredictable, strange and often dangerous journey leading me right to the edge of where I’d always hoped to be. Until 2015 however, I never truly followed intuition’s voice to fan my passionate, creative embers. Music was a pleasant hobby, put aside for the more practical career pursuit of medicine in my youth, and nearly anything else through the years following. I completed my Biochemistry Degree, though my interest in music never waned and composition was my escape from everything during my studies. The pressure of a double major, achieving a high enough GPA for medical school, unresolved medical issues and two sexual assaults, stripped my soul and confidence raw. Following graduation, I transitioned quickly into a Medical/Masters degree program. Though academically successful, inside I felt empty and lost. So afraid of being a Failure and a Disappointment, I struggled for months before making the decision to relinquish my scholarship and let go of medicine. The seeds of shame and depression exploded within. In the aftermath, I chose to shift my energy towards public relations and tourism, while on the side I became the lead singer for a couple of rock bands. Still suffering from failing health issues, I spent much of the next 3 years hiding behind failing health and pharmaceutical drugs in hospitals, my soul even more broken than my body. My mind was a mess and I fell hard to the streets of Edmonton, the scars on my wrist are a reminder of how far I unwound. I wandered homeless amongst other lost souls, wearing my ragged identity stitched together out of Blame, Failure, Anger, Shame and Victimization. I lost my creative spirit, my purpose, my job, my home, my pride…myself. After a long stretch in a psychiatric ward, a close friend helped ignite the spark within me again and I rose up. A women’s shelter became my new home where I was rescued and given time to heal. I started to play music again on the old piano in the chapel. Other shattered women often joined me. It didn’t take long to realize I had the ability to inspire and help lost souls, including my own, on a much deeper and more profound level than medicine ever could have offered. What if I could help heal people simply by being myself and using my natural gifts? I was a phoenix, rising again. My new purpose was born in that moment. I was ready for the next part of my journey and set out to seek new perspectives. I lived in South Korea for a year, drove enormous Ice Explorer buses and delivered interpretive tours on the Athabasca Glacier in Jasper National Park, worked in the oilfield as an Environmental Consultant, Security Management and even found my way onto the decks of cruise ships as part of the entertainment staff. Each position helped build confidence, experience and momentum toward the decision to entertain professionally. Following a serious ATV crash in 2009, I chose to reprogram my life towards music more directly. I was overwhelmed by the amazing opportunities that began to surface by 2010, from being cast in “Rent”, to playing duelling piano clubs and showcasing my original material in other venues. In the spring of 2015, I was blessed to begin performing on cruise ships as a guest entertainer. It’s through an exceptional gentleman I met on an Alaskan cruise, that this new opportunity for fundraising to record my debut album, “Ignition”, has arisen. 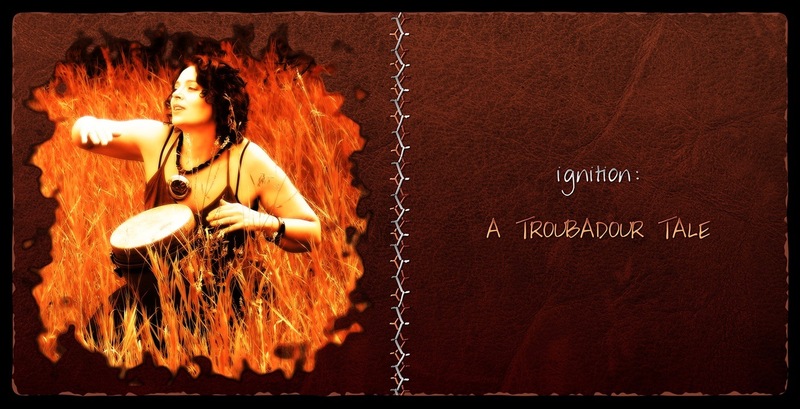 Through the summer of 2016, I recorded “Ignition” at Happy Note Studios in Berkeley CA. It was an incredible experience and I learned so much about myself, both personally and professionally. I’m so grateful for the opportunity and for all the amazing support and encouragement I received from my fans throughout my Kickstarter Project to fund the album. The sky is the limit for 2017 and the future. Here’s to the stars in my eyes! !